As you likely have seen (here for example), the Patrick Administration has spent a great deal of time putting together comprehensive proposed legislation designed to promote growth and opportunity in Massachusetts. Of particular note has been the Administration’s proposal of the adoption of a version of the Uniform Trade Secrets Act (the “UTSA”) coupled with a California-like ban of employee noncompetes. 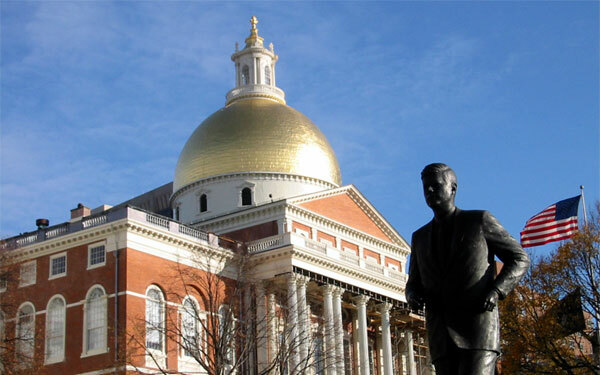 If it passes, noncompetes will be banned in Massachusetts, while Massachusetts simultaneously becomes the 49th state to adopt some version of the Uniform Trade Secrets Act, leaving just New York as the last remaining holdout. The upshot is that noncompetes will be banned, but other restrictive covenants – e.g., nonsolicitation agreements, nondisclosure agreements, no-raid/anti-piracy agreements, no hire agreements, and others – will remain intact. Also, while the change to the UTSA will have minimal practical implications, it will permit the recovery of attorneys’ fees, which current law does not (unless the claim falls within the Massachusetts unfair competition statute, G.L. c. 93A). In the interest of full disclosure, I pause here to note that I have been working with, and continue to work with, the Administration (in particular, Jennifer Lawrence, in the Executive Office of Housing and Development, who is spearheading the Administration’s effort), on the language of Section 53. There are a number of differences between the Patrick Administration’s bill on the one hand and the UTSA and California’s statute on the other hand, but more on that in a later post. As regular readers of this blog know, I view my role as only advisor on the drafting to accomplish the particular policy and the likely impact of the changes – not on what the policy should be. It is in that capacity that I have been advising not only the Patrick Administration, but key legislators (including Senator Will Brownsberger and Representative Lori Ehrlich) on each of the several other approaches under consideration at this time. This is a complex area of law, involving many competing policies and potential implications. To be clear, while I take no position on whether the benefits of eliminating noncompetes outweigh the detriments, I do believe that it is important to be cognizant of the potential practical consequences (at least from a litigation standpoint). Specifically, while the result will likely be less overall litigation and more employee mobility, the risk to trade secrets will increase and litigation that is commenced to protect them will tend to be more costly and last longer. Litigators will shift from a focus on noncompete enforcement to cases involving the enforcement of other restrictive covenants and the even-more-costly trade secrets litigation. Noncompete litigation generally involves a several-week process in which the parties spar over the appropriateness of an injunction to prevent the employee from working for a particular competitor. In contrast, trade secrets litigation generally involves a more involved, several-month discovery process on top of the injunction motions. Given this, the obvious question is: What should companies do to protect their legitimate business interests if the bill becomes law (which can be anytime up to July 31 – mark your calendars)? There are a number of steps that should be taken – many of which companies have been taking all along, though perhaps not as vigilantly as they will need to going forward. Here are the top five key steps. First and foremost is to review all existing restrictive covenant, employee, and independent contractor agreements. If the bill is adopted in its current form, the language says that it will apply to existing agreements – and not just agreements with employees, but with independent contractors as well. That means that existing agreements are not immune and may need to be changed. If they include well-drafted nonsoliciation (of customers), no-raid (of employees), and confidentiality provisions, it may be that they can be left in tact, recognizing that the noncompete provision will simply be unenforceable. However, if those other protections are missing, too limited, or simply not well-drafted, they will need to be revised. If they need to be revised, you will need to consider the best timing and method to go about doing so to avoid running afoul of arguments concerning notice, equity/fairness, and consideration (the exchange of something of value). Second and equally important, proper safeguards must be in place to protect company trade secrets (which will include what we traditionally considered “confidential information” in Massachusetts, and can include anything from the secret formula to Coke to customer lists) from the risk of misappropriation in the first place. Accordingly, a trade secrets protection plan (sometimes called a “trade secrets audit“) will be even more important now than ever before. Key elements are steps to lock down information and education of your employees and others with access to trade secrets. This does not mean that your information will never be misappropriated or that you cannot still sue if it is. It will and you can. (75 percent of employees admit to taking company information. See also here (59 percent in 2009 Ponemon study).) But, a proper trade secrets protection plan should help to limit the number of times you need to resort to litigation, while simultaneously increasing your likelihood of obtaining injunctive relief through litigation. Note that trade secrets litigation is more costly than noncompete litigation, because there is not a bright line to rely on for purposes of getting quick injunctive relief. With noncompete litigation (assuming the agreement is enforceable), you know whether the obligation has been breached or not – either the employee is at the competitor or he is not. With trade secrets litigation, the odds are much greater that you will need discovery to know whether your information is in fact being used and how. Third, like the prophylactic protections for trade secrets, safeguards should also be put in place to protect your company’s customer goodwill from the risk of misappropriation. The most obvious is nonsolicitation agreements. But other steps should be taken as well. Those include (among other steps) having multiple points of contact with each customer when feasible, plans for securing the relationships upon an employee’s departure, and proper mechanisms for managing social media accounts and contacts. Fourth, the protections available for retaining talent should not be forgotten. If you want to limit departing employees from poaching the remaining employees, you must have proper no-raid/anti-piracy (or no-hire) agreements (sometimes called nonsolicitation agreements or no-poach agreements) in place. In addition, you should take steps to give employees reason to stay – and, separately, not to leave. Forfeiture agreements (agreements that require the forfeiture of certain benefits or payments if the employee leaves) are one tool that should be considered in this regard. Fifth, if litigation is necessary, move quickly. Delay can be the biggest problem for companies in these cases. And, without the protections of noncompete agreements, delay can create even greater risks of loss of trade secrets, relationships, or employees.